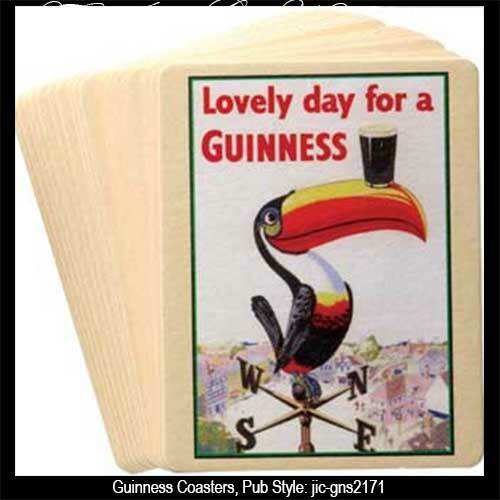 These lightweight Guinness coasters are an assorted set of 20 pub style coasters. The double sided designs feature popular Guinness icons. These Irish coasters are just one of the many Guinness gifts that available at The Irish Gift House.